Montevideo is the primate city in Uruguay, the only city in the country with a population over 1,000,000. 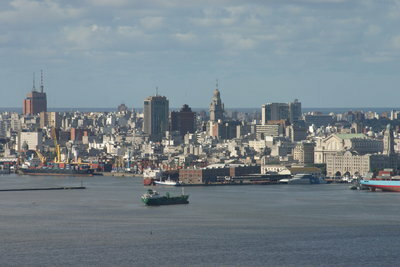 Montevideo has a privileged harbour, one of the most important in the Americas. 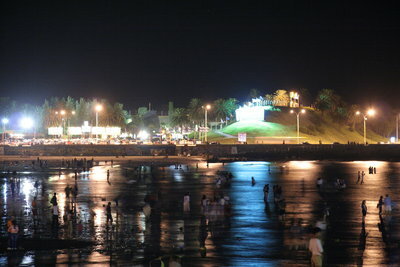 Also, it has beautiful beaches, like Pocitos, Buceo, Malvin, Playa de los Ingleses, Playa Verde, Punta Gorda and Carrasco. 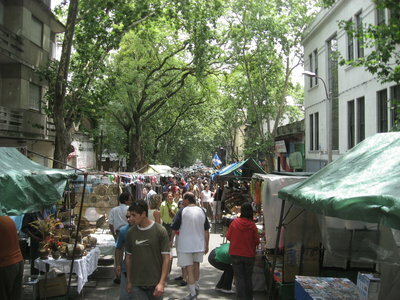 Ciudad Vieja (Old City) is the name of the oldest part of the city of Montevideo, capital city of Uruguay. Nowadays, Ciudad Vieja is a neighbourhood of this city. In the last couple of years it has gone through a major transformation that has made it the main nightlife centre in town. It is in this area where most of the nightclubs are. 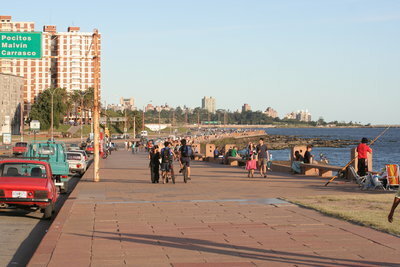 Rambla is the name of the avenue that goes all along the coastline of Montevideo. Since all the southern departments of Uruguay are against either the Río de la Plata or the Atlantic Ocean, they all have ramblas as well. 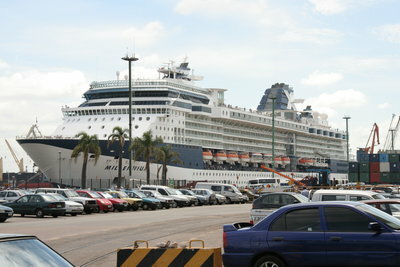 The Maritime Harbourg of Montevideo is the main commercial harbourg of Uruguay. It is placed on the River of La Plata, in the bay of Montevideo's city, in one important transit charge zone of the Mercosur. Day of Yemayá: Yemaja is an orisha, originally of the Yoruba religion, who has become prominent in many Afro-American religions. 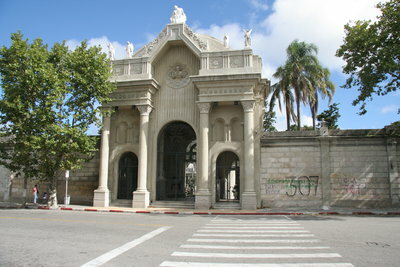 The most importants buildings are Cementerio Central and the university of the work in Uruguay(UTU), in San Salvador St. Near the South neighborhood, Palermo is the center of the carnival activities. Torre de las Telecomunicaciones (Telecommunications Tower) or Torre Antel (Antel Tower) is a 158 metre tall building with 35 floors in Montevideo, Uruguay. 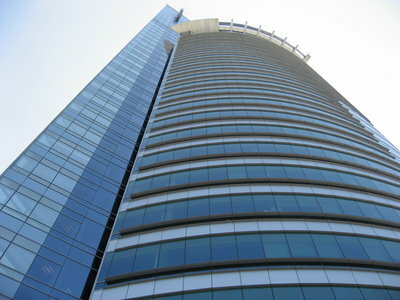 This is the headquarters of Uruguay's government-owned telecommunications company, ANTEL, and is the tallest building in the country. 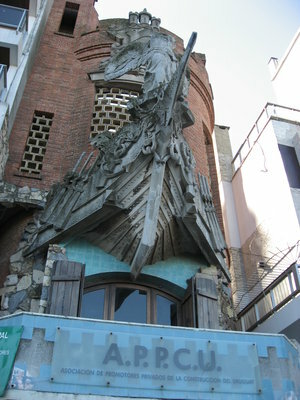 It was designed by architect Carlos Ott. 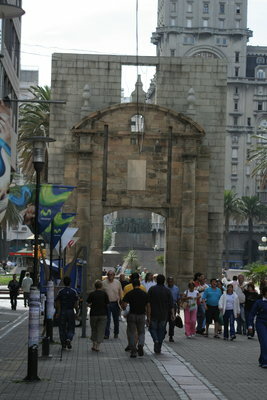 It is situated by the side of Montevideo's bay. 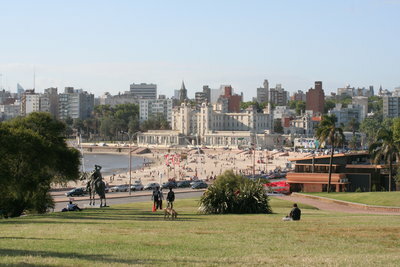 Pocitos is an upscale beach neighborhood in Uruguay's capital city, Montevideo. 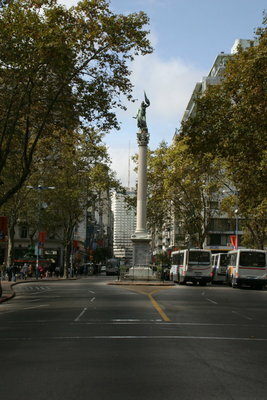 Centro is the downtown neighbourhood of Montevideo, Uruguay. 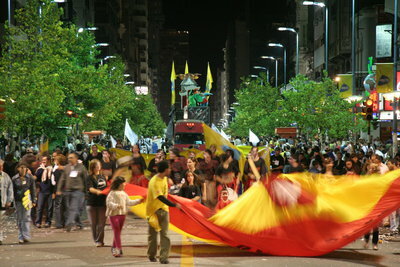 Its main avenue is 18 de Julio avenue, which goes from Plaza Independencia to Artigas Boulevard. All the commercial area used to be concentrated in this neighbourhood, but after the opening of the first malls, small stores downtown started closing down. Now, that process is being reverted and the area is coming back to life.